Another of my YouTube food channel videos, this is Eating in Vienna. I’ll have an article from Vienna coming up, but I hope this tides you over a little bit. I have started shooting this entire food video on my Nokia Lumia 1020 in order to keep all my different programs separate, and I’m actually quite pleased. The video quality is amazing for a smartphone. 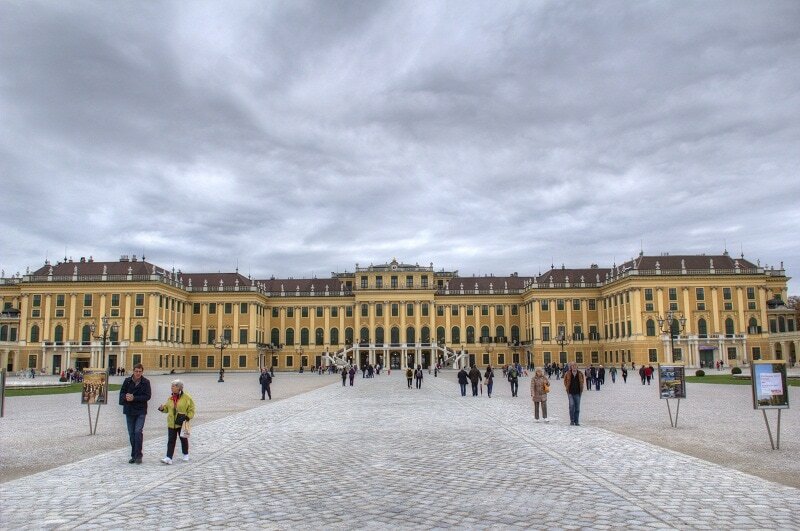 Anyways, the video covers a couple of Vienna’s tourist attractions such as the Prater Fairgrounds and both the Belvedere and Schonbrunn Palaces which are beautiful. In regards to the food we grabbed, we started just with a bit of breakfast homemade in our hostel in Vienna. I destroyed the omelettes and instead turned them into scrambled eggs. For dinner we went to a restaurant called Quell which still does Wiener Schnitzel in the traditional way. We also had some sausages and a mustard dip that was insanely spicy. Finally, we headed to the fair to grab a quick lunch which just ended up being potato hash browns and beer. I hope you’re enjoying the food videos. It’s fun for me to do something a little bit more “normal” in terms of video, but I can’t wait to get to Asia way the food will likely be a little less tame.